Buy only above 8500 level, remain below that we may see more weakness, major support level will be 8300 below that level we may see fresh short position. We have seen intense volatility today; we may see now lower level buying. Bank nifty closed around its support level, that is 18400, we may see buying from lower level, once close above 18400, below 18400 major support levels will be 18150. State-run banks led gains for key benchmark indices. The market sentiment was boosted by news reports that the Union Cabinet has approved amendments to the goods and services tax (GST) bill to compensate states for revenue loss for five years on introduction of the uniform nationwide indirect tax regime, as has been suggested by Rajya Sabha Select Committee. The market breadth indicating the overall health of the market was strong. The barometer index, the S&P BSE Sensex, provisionally rose 191.97 points or 0.7% to 27,755.40. Key benchmark indices hovered in positive zone throughout the trading session today, 30 July 2015. 1. Index heavyweight and cigarette major ITC edged higher after the company reported Q1 June 2015 earnings. The stock rose 4.62% at Rs 318, also its day's high. The stock hit a low of Rs 300.60 in intraday trade. ITC's net profit rose 3.61% to Rs 2265.44 crore on 6.11% decline in total income to Rs 8902.71 crore Q1 June 2015 over Q1 June 2014. The result was announced during market hours today, 30 July 2015. 2. Crompton Greaves (CG) rose 2.61% to Rs 182.90. The company announced during trading hours that it has won an important contract to supply ZIV single phase smart meters to Energias de Portugal (EDP), one of the major European operators in the energy sector. This follows another major order awarded by EDP, selecting CG as the main supplier for data concentrators. Financial details of the deal were not disclosed. 2. Meanwhile, India's weather office, the India Meteorological Department (IMD), said in its daily monsoon update issued yesterday, 29 July 2015, that the Southwest monsoon was vigorous over Rajasthan and Gujarat state and was active over Gangetic West Bengal during past 24 hours until 8:30 IST. 1. 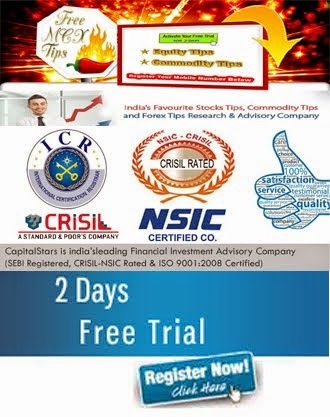 In today’s session we have seen call buying in nifty 8400/8500 call so we can consider that nifty will show good buying in coming days. 2. ACC calls and puts were so active, we have seen heavy put writing in 1300 and 1280 puts so in near future we may 1280 level as a major support level for the stock. 3. RELIANCE 1020/1040 calls were so active today, we have seen good rally in the stock, more rally is expected above 1000. Sell TATAMOTORS as remain below 390 we may see 350/340 level in coming days, above 390 major resistances will be 405. Buy APOLLOTYRE above 198 stock may show 210/215 level, remain below 198 more down side is expected. Sell CAIRN below 175 we may see 162/155 levels remain below 175 levels. • SELL VOLTAS BELOW….? 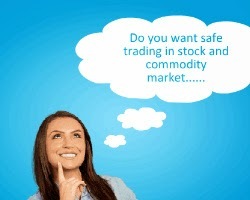 STOCK MAY SHOW 290/280 LEVEL IN COMING DAYS WITH STOP LOSS…? Buy only above 8500 level, remain below that we may see more weakness, major support level will be 8300 below that level we may see fresh short position. We have seen intense volatility today, we may see now lower level buying. Bank nifty closed around its support level, that is 18300, we may see buying from lower level, once close above 18300, below 18300 major support levels will be 18150. IT stocks led gains for key benchmark indices. The market sentiment improved as crude oil prices extended recent losses. Brent crude oil futures edged lower on persistent worries about a global supply glut. The decline in crude oil prices augurs well for India. Key benchmark indices remained in positive zone throughout the trading session. The market breadth indicating the overall health of the market was positive. The barometer index, the S&P BSE Sensex, was provisionally up 105.67 points or 0.38% to 27564.90. In overseas stock markets, Chinese stocks ended higher with sharp gains in the last half-hour of trading. 1. Metal shares edged higher. Hindustan Zinc (up 1.73%), NMDC (up 1.05%), National Aluminum Company (up 0.98%), Steel Authority of India (up 0.95%), Hindalco Industries (up 0.66%), Tata Steel (up 0.38%) and Hindustan Copper (up 0.09%), edged higher. JSW Steel (down 0.06%), Jindal Steel & Power (down 0.07%) and Bhushan Steel (down 0.69%), edged lower. 2. Vedanta rose 0.97% to Rs 129.70. The company's consolidated profit after tax (PAT) before exceptional items fell 35% to Rs 866 crore on 1% decline in net sales/income from operations to Rs 16952 crore in Q1 June 2015 over Q1 June 2014. The result was announced at the fag end of the trading session today, 29 July 2015. 1. Meanwhile, India's weather office, the India Meteorological Department (IMD), said in its daily monsoon update issued yesterday, 28 July 2015, that the Southwest Monsoon was vigorous over West Rajasthan and Gujarat state and was active over Gangetic West Bengal, Odisha, Jharkhand, East Rajasthan and West Madhya Pradesh during past 24 hours until 8:30 IST. 2. Chinese stocks edged higher with sharp gains in the last half-hour of trading. In mainland China, the Shanghai Composite jumped 3.44%. In Hong Kong, the Hang Seng index rose 0.47%. China's securities watchdog has decided to investigate whether a coordinated dumping of shares sparked the selloff in Chinese stocks on Monday, 27 July 2015. The Shanghai Composite Index had plunged 8.5% on Monday, 27 July 2015, marking its biggest one day drop in more than eight years. Buy only above 8500 level, remain below that we may see more weakness, major support level will be 8350 below that level we may see fresh short position. We have seen intense volatility today, we may see now lower level buying and short covering is expected above. Remain below 18300 more weakness is expected, though we may see short covering from lower level but below 18300 no buying. Index heavyweight and housing finance major HDFC led losses for key benchmark indices. Shares of the housing finance major edged lower after the company reported a muted growth in bottom line in Q1 June 2015. The barometer index, the S&P BSE Sensex, was provisionally off 102.76 points or 0.37% to 27,458.62. The market breadth indicating the overall health of the market turned negative from positive in late trade. The market sentiment was edgy after the latest data showed that foreign portfolio investors (FPIs) pressed sales of Indian stocks yesterday, 27 July 2015. 1. HDFC fell 2.64% to Rs 1,300. The company's net profit rose 1.21% to Rs 1360.98 crore on 9.39% rise in total income to Rs 7068.28 crore in Q1 June 2015 over Q1 June 2014. The result was announced during market hours today, 28 July 2015. On consolidated basis, HDFC's net profit rose 17.69% to Rs 2204.29 crore on 13.76% growth in total income to Rs 11440.62 crore in Q1 June 2015 over Q1 June 2014. 2. Most power generation stocks declined. JSW Energy (down 7.45%), Jaiprakash Power Ventures (down 3.92%), Reliance Power (down 1.86%), GMR Infrastructure (down 1.79%), Torrent Power (down 1.16%), Adani Power (down 0.37%), Tata Power (down 0.14%), edged lower. Reliance Infrastructure (up 0.14%), CESC (up 0.26%), NHPC (up 0.27%) and NTPC (up 2.13%) edged higher. 1. Meanwhile, Reserve Bank of India (RBI) Governor Raghuram Rajan reportedly said yesterday, 27 July 2015, that inflation targets should not be changed every three years as that would mean changing goal posts as soon as the system starts to internalize it. The RBI governor's comments follow the release of a new draft of the proposed Indian Financial Code which suggested that inflation targets should be reset every three years following consultations between the government and the RBI. The draft also suggested setting up a seven-member monetary policy committee (MPC) which would have four members appointed by the government. An earlier proposal to give the RBI governor veto power over decisions of the MPC has also been removed. 2. Meanwhile, India's weather office, the India Meteorological Department (IMD), said in its daily monsoon update issued yesterday, 27 July 2015, that the Southwest Monsoon was vigorous over Rajasthan and Gujarat state and was active over Gangetic West Bengal, Odisha and West Madhya Pradesh during the past 24 hours until 8:30 IST. 1. In today’s session we have seen call writing in nifty 8600 call so we can consider this as a strong resistance. 2. MARUTI calls and puts were so active, we have seen heavy put writing in 4200 and 4100 puts so in near future we may see selling pressure in the stock once it remain below 4200. Buy CEAT above 800 stock may show 840/850 level, remain below 800 more down side is expected. Buy only above 8500 level, remain below that we may see more weakness, major support level will be 8350 below that level we may see fresh short position. A sharp setback in Chinese stocks and fears that the stock market regulator Securities and Exchange Board of India (Sebi) may tighten rules on Participatory Notes (PNs) in the wake of a report by a special investigations team on black money hit sentiment on the domestic bourses adversely. PNs are a popular offshore derivative instrument used by foreign portfolio investors to invest in Indian stocks. The barometer index, the S&P BSE Sensex, hit four week low and the 50-unit CNX Nifty hit its lowest level in more than two weeks as these two key benchmark indices extended intraday losses in late trade. The Sensex fell below the psychological 28,000 mark. The market breadth indicating the overall health of the market was weak. The Sensex was provisionally off 550.93 points or 1.96% at 27,561.38. The BSE Mid-Cap index lost 1.38%. The BSE Small-Cap index fell 1.07%. All the 12 sectoral indices on BSE ended lower today, 27 July 2015. In overseas markets, Chinese stocks tumbled as new capital inflows from authorities appeared to slow. 1. Reliance Industries' (RIL) fell 2.15% at Rs 1,003. The stock hit a high of Rs 1,035 and a low of Rs 1,001.30 in intraday trade. The company's consolidated net profit rose 4.44% to Rs 6222 crore on 25.93% decline in total income to Rs 78962 crore in Q1 June 2015 over Q1 June 2014. The result was announced after market hours on Friday, 24 July 2015. Decline in revenue was led by the 43.5% decline in benchmark (Brent) oil price in Q1 June 2015 over Q1 June 2014. 2. Metal shares declined. Tata Steel (down 5.15%), Hindalco Industries (down 4.36%), JSW Steel (down 3.7%), Vedanta (down 3.05%), Bhushan Steel (down 2.89%), NMDC (down 2.64%), Hindustan Copper (down 2.41%), Steel Authority of India (down 2.41%), Jindal Steel & Power (down 1.78%) and National Aluminum Company (down 1.75%) edged lower. Hindustan Zinc was up 0.18%. 1. Finance Minister Arun Jaitley reportedly said today, 27 July 2015, that the government will not react in a knee-jerk manner on a report by a special investigations team that suggested greater oversight of money laundering in stocks. Jaitley, however, said the government would apply its mind on the recommendations of the Supreme Court-appointed team in due course and would avoid any decision that could hurt investor sentiment, reports added. The Special Investigation Team (SIT) tasked with curbing black money has in its Third SIT Report submitted to the finance ministry has called for identification of beneficial ownership of Participatory Notes (PN). 2. Chinese stocks tumbled today, 27 July 2015, as new capital inflows from authorities appeared to slow. A state-owned fund called China Securities Financial Corp. had reportedly spent hundreds of billions of yuan in supporting the Chinese market after a steep slide in Chinese stocks market in the recent past. In mainland China, the Shanghai Composite index plunged 8.48%. In Hong Kong, the Hang Seng index shed 3.09%. 1. In today’s session we have seen call writing in nifty 8600 callso we can consider this as a strong resistance. 2. TECHM calls were so active, we have seen good rally in stock more upside is expected as remain above 500, we may see 530/550 level in coming days. 3. SBIN 260/250 PUTS were so active, more sell side is expected, major resistance for the stock will be 277 once close above this level we may see 290/300 level. Buy BAJAJ AUTO above 2490 stocks may show some good rally we may see 2550/2570 level in coming days. Buy CEAT above 760 stock may show 790/800 level, remain below 760 more down side is expected. 1. BUY RELIANCS ABOVE….? TGT…..?STOP LOSS……? 2. BUY ICICI BANK ABOVE…..?...TARGET….?..STOPLOSS…? Nifty future closed around its suppot level, no selling remain above 8520 keep buying, we may see buying from lower level. Profit booking is expected from upper level, keep buy on dips. No selling above 18300 please. Key benchmark indices dropped sharply on last trading day of the week. After trading with small losses in first half of the day's trade, key benchmark indices extended fall and hit fresh intraday low in late trade. The barometer index, the S&P BSE Sensex was provisionally off 229.67 points or 0.81% at 28,141.17. The market breadth indicating the overall health of the market was negative. Key benchmark indices edged lower today, 24 July 2015, as complete washout of Lok Sabha proceedings in the first week of the monsoon session, because of a political tussle between the National Democratic Alliance (NDA) government and the Congress party triggered concerns about the passage of key reform bills. 1. Axis Bank's gross non-performing assets on absolute basis edged higher to Rs 4251.18 crore as on 30 June 2015 from Rs 4110.19 crore as on 31 March 2015 and Rs 3463.27 crore as on 30 June 2014. The ratio of gross non-performing assets to gross advances stood at 1.38% as on 30 June 2015, higher than 1.34% each as on 31 March 2015 and 30 June 2014. The ratio of net non-performing assets to net advances stood at 0.48% as on 30 June 2015, higher than 0.44% each as on 31 March 2015 and 30 June 2014. 2. ABB India's revenue rose 6.03% to Rs 1932 crore in Q2 June 2015. The company said the growth in revenue was on account of efficient execution and conversion of order backlog across divisions. ABB India said that over the years, the company's initiatives towards operational excellence have been yielding results, fortifying profit margins. 1. Meanwhile, the Ministry of Water Resources said today, 24 July 2015, that water storage available in 91 important reservoirs of the country as on 16 July 2015 was 58.96 billion cubic metres (BCM) which is 37% of total storage capacity of these reservoirs. This storage is 115% of the storage of corresponding period of last year and 108% of storage of average of last ten years. The present storage position during current year is better than the storage position of last year and is also better than the storage of average of last ten years. The total storage capacity of these 91 reservoirs is 157.799 BCM which is about 62% of the total storage capacity of 253.388 BCM which is estimated to have been created in the country. 2. Greece yesterday, 23 July 2015 reportedly moved another step closer to receiving its third bailout package, after the country's parliament approved a second set of economic overhauls required by lenders. The legislative approval is a precondition by the Greece's international creditors for starting official negotiations on the 86-billion-euro ($94.51 billion) aid program, aimed at helping the country stave off a debt default and get back on an economic-growth track. 1. In today’s session we have seen put writing in nifty 8500 put so we can consider this as a strong support. 2. RELIANCE 1020/1000 calls were so active, we have seen good rally in stock more upside is expected as remain above 1020, we may see 1100/1120 level in coming days. 3. AXIS BANK 590/600 calls were so active, more buy side is expected, major resistance for the stock will be 611 once close above this level we may see 630/640 level. Buy TATAMOTORS above 395 stock may show some good rally we may see 410/420 level in coming days. Sell ACC below 1460 we may see 1420/1390 level as remain below 1460 levels. • BUY RELIANCS ABOVE….? TGT…..?STOP LOSS……? • BUY ICICI BANK ABOVE…..?...TARGET….?..STOPLOSS…? Nifty future closed around its resistance level, so we may see little profit booking and nifty may show 8520-8550 level, buy keep buy on dips no selling will be advisable. IT and cement stocks led losses for key benchmark indices. Benchmark indices witnessed intraday volatility. The barometer index, the S&P BSE Sensex, was provisionally off 143.41 points or 0.5% at 28,361.52. The market breadth indicating the overall health of the market was positive. 2. Lupin tumbled after the company reported weak Q1 results. The stock fell 5.3% at Rs 1,727.35. The stock hit a high of Rs 1,835 and a low of Rs 1,716 in intraday trade. Lupin's consolidated net profit fell 16% to Rs 525 crore on 6.4% decline in net sales to Rs 3074.30 crore in Q1 June 2015 over Q1 June 2014. The result was announced during market hours today, 23 July 2015. 1. Meanwhile, Lupin during market hours today, 23 July 2015, announced that it has entered into a definitive agreement to acquire privately held GAVIS Pharmaceuticals LLC and Novel Laboratories Inc. (GAVIS), subject to certain closing conditions, in a transaction valued at $880 million, cash free and debt free. The transaction has been unanimously approved by the boards of directors of Lupin and GAVIS. The acquisition enhances Lupin's scale in the US generic market and also broadens Lupin's pipeline in dermatology, controlled substance products other high-value and niche generics. 2. Bajaj Auto dropped in volatile trade as the company's Q1 June 2015 results fell short of market expectations. The stock fell 5.01% at Rs 2,488. The stock hit a high of Rs 2,655 and a low of Rs 2,478.90 in intraday trade. Bajaj Auto's net profit jumped 37.13% to Rs 1014.80 crore on 10.57% increase in total income to Rs 6050.30 crore in Q1 June 2015 over Q1 June 2014. The result was announced during market hours today, 23 July 2015. 2. RELIANCE 1050/1080 calls were so active, we have seen good rally in stock more upside is expected as remain above 1020, we may see 1100/1120 level in coming days. Buy TATAMOTORS above 395 stock may show some good rally we may see 310/320 level in coming days. Buy HINDALCO above 111 stock may show 115/118 level, remain below 111 more down side is expected. INDIAN BENCHMARKS are likely to open on a flat to positive note as the global cues look mixed with SGX Nifty trading 2 points higher. Trend in FII flows: The FIIs were net buyers of Rs 450.32 Cr in the cash segment on Wednesday while the DIIs were net sellers of Rs -351.77 Cr, as per the provisional figures released by the NSE. As yesterday we said that markets will show some profit booking from upper level, same thing happened today, keep buy on dips as remain above 8450, we may see some more bullish move ahead. Short covering is expected from lower level, keep buy dips as remain above 18300 no selling please. Pharma and cement stocks led losses as key benchmark indices witnessed a sudden slide during the last one hour or so of the trading session. Until about 14:30 IST, benchmark indices moved in a narrow range near the flat line. The barometer index, the S&P BSE Sensex, and the 50-unit CNX Nifty, both, hit their lowest level in almost a week as these two key benchmark indices extended intraday losses in late trade. The broad market depicted weakness. There were almost two losers against every gainer on BSE. The Sensex was provisionally off 230.44 points or 0.81% to 28,189.68. The BSE Mid-Cap index was off 1.42%. The BSE Small-Cap index was down 1.59%. The decline in both these indices was higher than Sensex's decline in percentage terms. 1. Shares of IT major Infosys jumped after the company raised its full year revenue growth guidance in dollar terms at the time of announcing its Q1 June 2015 results during market hours today, 21 July 2015. The stock jumped 11.29% at Rs 1,115. The stock hit a high of Rs 1,127.75 and a low of Rs 1,022.20 intraday. Infosys now expects its revenue to grow 7.2%-9.2% in dollar terms for the year ending 31 March 2016 (FY 2016). At the time of announcing Q4 March 2015 results in April 2015, Infosys had forecast 6.2% to 8.2% growth in the company's revenue in dollar terms for FY 2016. 2. HDFC Bank dropped amid volatility after announcing Q1 results. The stock lost 1.89% at Rs 1,094.50. The stock hit a high of Rs 1,127.90 and a low of Rs 1,094.05 intraday. HDFC Bank's net profit rose 20.7% to Rs 2695.70 crore on 26.3% growth in total income to Rs 16503 crore in Q1 June 2015 over Q1 June 2014. The result was announced during market hours today, 21 July 2015. 1. Meanwhile, India's weather office, the India Meteorological Department (IMD), said in its daily monsoon update issued yesterday, 20 July 2015, that the Southwest Monsoon was vigorous over West Madhya Pradesh and active over Gangetic West Bengal, East Rajasthan, Coastal Karnataka and South Interior Karnataka during 24 hours ending until 8:30 IST. 2. Asian stocks edged higher today, 21 July 2015, on the tail of strong corporate earnings in the US and China's stabilizing markets. In mainland China, the Shanghai Composite index rose 0.66%. In Hong Kong, the Hang Seng index was up 0.52%. In other Asian markets, key benchmark indices in Japan, Singapore, Taiwan and South Korea were up 0.02% to 0.93%. Indonesian stock market was shut for a holiday. 1. In today’s session we have seen put buying in nifty 8600 put so we can consider this as a strong resistance. 2. CAIRN 170 PUTS were so active, stock is really in bearish move more rally is expected below 162. 3. ACC 1450 PUTS were in action today, stock showed us short position from upper level, more selling below 1460. Sell ONGC below 290 stock may show 278/270 levels in coming days. Sell GAIL as remain below 370 stock may show 358/355 level in coming days. Sell TATAMOTORS below 400 we may see 380/370 level as remain below 400 levels. Now we may see little profit booking from upper level, any ways we have witnessed good and strong recovery from lower level, midcap is outperforming the index, buying opportunity on dips more bullish move ahead. Fresh buying seen in intraday trade, be cautious, we may see little profit booking, so make fresh buy only on dips. So keep buy we may see 19300-19400 level. Key benchmark indices registered small losses in the first trading session of the week today, 20 July 2015. Key indices pared intraday losses towards the last one hour or so of the trading session. Key indices once again extended losses towards the close of the trading session. The barometer index, the S&P BSE Sensex was provisionally off 54.89 points or 0.19% to 28,408.42. The 50-unit CNX Nifty was provisionally off 6.40 points or 0.07% at 8,603.45. The decline in the Nifty in percentage terms was lower than the Sensex's decline on provisional basis as cement stocks viz. UltraTech Cement, Ambuja Cements and Grasim Industries which are part of Nifty but are not in Sensex edged higher. The market breadth indicating the overall health of the market was positive. Cement stocks edged higher. UltraTech Cement shrugged off weak Q1 earnings. ACC dropped after the company reported weak Q2 numbers after market hours on Friday, 17 July 2015. Punjab National Bank (PNB) dropped on reports that a foreign brokerage has reiterated its 'underweight' stance on the stock. Punjab National Bank (PNB) dropped on reports that a foreign brokerage has reiterated its 'underweight' stance on the stock. The stock was off 2.94% at Rs 140.55. The brokerage reportedly said that elevated credit costs of PNB will likely keep re-rating at bay and reverting back to historical high profitability would be very difficult. The brokerage further added that given the weakness in PNB's balance sheet, one should expect further cuts. Meanwhile, India's weather office, the India Meteorological Department (IMD), said in its daily monsoon update issued yesterday, 19 July 2015, that the Southwest Monsoon was vigorous over Nagaland, Manipur, Mizoram & Tripura and West Madhya Pradesh and active over Haryana, Chandigarh & Delhi, South Interior Karnataka and Kerala during 24 hours ending until 8:30 IST. Meanwhile, the Ministry of Water Resources announced in its weekly report issued after trading hours on Friday, 17 July 2015, that the water storage available in 91 important reservoirs of the country was 51.22 BCM as on 16 July 2015, which is 33% of total storage capacity of these reservoirs. This storage is 133% of the storage of corresponding period of last year and 112% of storage of average of last ten years. The present storage position during current year is better than the storage position of last year and is also better than the storage of average of last ten years. In today’s session we have seen call buying in nifty 8400 call so we can consider this as a strong support. AMBUJA 250 & 260 CALLS were so active, stock is really in bullish move more rally is expected up to 260. ACC 1450 PUTS were in action today, stock showed us short position from upper level, more selling below 1460. Buy CROMPTON GREVE above 186 stocks may show 210/220 in coming days, Below 186 major support will be 175. Buy ITC as remain above 314 we may see some good move. Buy only above 314. Buy TVSMOTORS as remain above 260 stock may show 270/280 level in coming days, below 260 major support 252. Good and strong recovery, midcap is outperforming the index, buying opportunity on dips more bullish move ahead. Auto stocks and index heavyweights ITC and Infosys led gains for benchmark indices on the last trading session of the week today, 17 July 2015. Benchmark indices registered minuscule gains. The intraday movement for the benchmark indices was within a narrow range. The barometer index, the S&P BSE Sensex, was provisionally up 28.09 points or 0.1% at 28,474.21. The market breadth indicating the overall health of the market was positive. In overseas markets, Chinese shares recovered further after a series of government support measures to halt their recent crash. 1. MindTree said that the Board of Directors of the company has approved the acquisition of 100% equity interest in Bluefin Solutions ('Bluefin'), a leading UK based IT solutions provider specializing in SAP HANA solutions, in an all cash transaction for GBP 42.3 million, and the definitive agreements have also been signed on 16 July 2015. The considerations include an upfront payment of GBP 34 million and earn out of GBP 8.3 million payable over the next three years. 2. IT stocks edged higher on renewed buying. Tech Mahindra (up 2.48%), TCS (up 0.86%), Oracle Financial Services Software (up 0.68%), MphasiS (up 0.91%) and Infosys (up 1.53%), edged higher. Wipro (down 0.57%) and HCL Technologies (down 0.16%) declined. 1. Meanwhile, the India's weather office, the India Meteorological Department (IMD), said in a weekly monsoon report issued yesterday, 16 July 2015, that rainfall was below normal by 14% over the country as a whole during the period from 9 to 15 July 2015. Region wise, the rainfall was 39% below the Long Period Average (LPA) in South Peninsula, 32% below the LPA in Central India and 15% below the LPA in East & Northeast India during the period from 9 to 15 July 2015. Northwest India received above normal rainfall activity during the week with heavy to very heavy rainfall. The rainfall was 28% above the LPA in Northwest India during the period from 9 to 15 July 2015. 2. The European Central Bank (ECB) yesterday, 16 July 2015, increased emergency funding for Greek lenders, although capital controls will have to remain in place to avoid a run on the banks when they reopen on Monday, 20 July 2015. European Union finance ministers also approved 7 billion euros ($7.6 billion) in bridge loans to Greece, allowing it to make a bond payment to the ECB on Monday, 20 July 2015, and clear its arrears with the International Monetary Fund. Greece's parliament yesterday, 16 July 2015, approved tough austerity measures needed for the country to receive financial aid. 1. In today’s session we have seen call buying in nifty 8400 call so we can consider this as a strong support. 2. AMBUJA 250 & 260 CALLS were so active, stock is really in bullish move more rally is expected up to 260. 3. ONGC 280 PUTS were in action today, stock showed us short position from upper level, more selling below 300. Buy TATAMOTOR as remain above 395 stock may show 410/415 level in coming days, below 395 major support 382. Shares of private banks led rally as key benchmark indices surged after Greece's parliament approved tough austerity measures needed for the country to receive financial aid and potentially avoid its exit from the eurozone. The barometer index, the S&P BSE Sensex, and the 50-unit CNX Nifty, both, hit their highest level in more than twelve weeks as these two key benchmark indices extended their intraday gains in late trade. The market breadth indicating the overall health of the market was positive. 1. Kotak Mahindra Bank jumped 4.2%. The government yesterday, 15 July 2015, deferred a decision on a proposal to raise the aggregate foreign investment ceiling in Kotak Mahindra Bank to 55%. The bank had sought approval from the Foreign Investment Promotion Board (FIPB) for increasing the aggregate foreign investment ceiling in the bank to 55% pursuant to a merger of ING Vysya Bank with Kotak Mahindra Bank. 2. HDFC Bank rose 1.99% to Rs 1,118.55 on reports that a prominent domestic brokerage has maintained its buy call on the stock. The stock hit a high of Rs 1,118.85 intraday trade, which is a record high for the counter. The brokerage reportedly said that HDFC Bank is best placed in the current environment. It further added that HDFC Bank has most granular balance sheet amongst the Indian lenders and digitalization initiatives are gaining traction. 1. Meanwhile, the Union Cabinet today, 16 July 2015, gave its approval to review the existing foreign direct investment (FDI) policy on various sectors provided in the Consolidated FDI Policy Circular 2014, as amended by the Consolidated FDI Policy Circular 2015, by introducing composite caps for simplification of FDI policy to attract foreign investments. Finance Minister Arun Jaitley said at a press conference after a meeting of the Union Cabinet and the Cabinet Committee on Economic Affairs (CCEA) that the government has approved clubbing of different categories of foreign investment in companies into a composite cap. He added that foreign direct investment, foreign portfolio investment and investments by non-resident Indians would be "clubbed together under a composite cap". 2. Meanwhile, the Cabinet Committee on Economic Affairs (CCEA) today, 16 July 2015, approved the creation of an intra state transmission system in Andhra Pradesh, Gujarat, Himachal Pradesh, Karnataka, Madhya Pradesh, Maharashtra and Rajasthan at an estimated cost of Rs 8548.68 crore with Government of India contribution from National Clean Energy Fund (NCEF) of Rs 3419.47 crore. These states are rich in renewable resource potential and large capacity renewable power projects are planned there. Creation of an intra state transmission system will facilitate evacuation of renewable power from generation stations to load centres, according to a government statement. Buy ARVIND above 280 stocks may show 300/310 in coming days, Below 280 major support will be 273. Buy AMBUJA as remain above 240 we may see some good move. Buy only above 240.